When it comes to sports, it’s good to take matters of the heart seriously. Read how your heart rate can help you train and recover smarter. You think you’re fit because you exercise every day, but are you, really? Read which heart rate variables reveal the true state of your fitness. Your heart rate when running will fluctuate from day to day due to external factors. Learn more about what factors affect your running heart rate. What are the warning signs that you’re working too hard and what to do when you find that your heart rate is too high in the middle of a run? With the right tools, you can measure your running heart rate and adjust your runs accordingly, but what actually matters and what doesn’t. Let’s break it down. What’s the relationship between heart rate variability (HRV) and exercising? Find out what your heart rate variability can tell you about your health. How do you turn all of your data into real-life performance?  Here’s what five Polar athletes are doing with all their training data and post-race analysis. What are anaerobic and aerobic threshold, what is the difference, and why do they matter? Here’s what athletes should understand about aerobic threshold. To help you achieve your health and fitness goals we’re proud to introduce continuous heart rate tracking – available on the new Polar A370 fitness tracker.